Have you seen a wood watch before? I had never seen a wooden watch before in my life! There is a first time for everything I suppose. 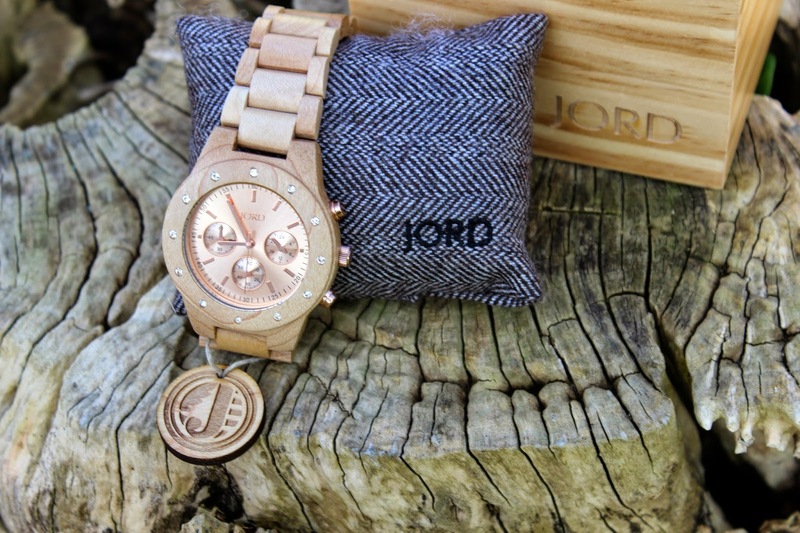 If you haven't heard form JORD Wood Watches, they are a locally owned St. Louis, Missouri company and they design/produce 100% wood watches from sustainable materials from all around the world. They have concentrated on mostly male and unisex designs so far but we have several women's series in the works. 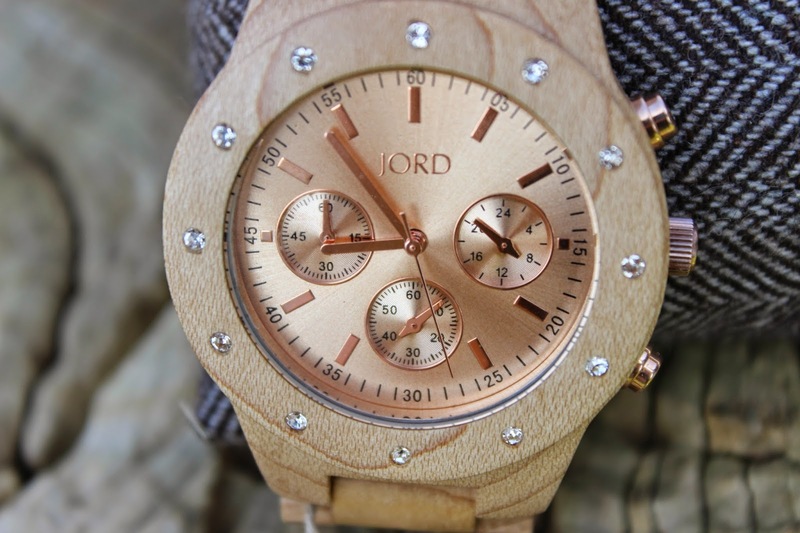 JORD Natural Wood Watches were so kind to offer me a watch for my honest opinion in return. I choose their masterpiece Sydney, which is made from maple and has rose gold background and is embellished with Swarovski Krystals around it. I love Swarovsky Kristals, probably because they are from the same country where I am from. Can you guess which country it is? But back to Sydney now - Sydney is serious arm candy and a statement piece and I assure you are guaranteed to get some serious attention - if you don't want that - don't get this watch! I am serious! The watch is so bold and modern, it will go just with everything. I really like the light maple colour, its perfect for spring. The watch feels really light and I hardly notice it on my wrist and it blends in beautifully with my skin tone. You can see the rose gold background better in this photo. 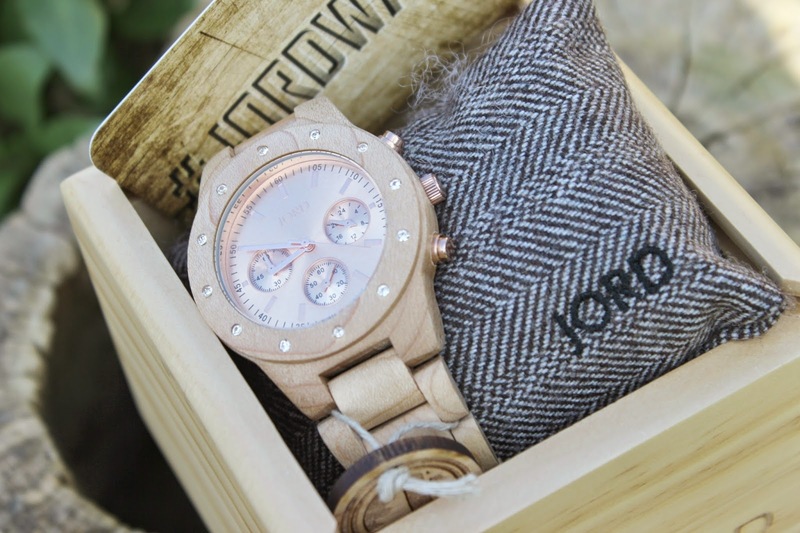 The watch arrived in a wooden box with sliding lid and the watch was wrapped around a cushion - I think the presentation is very elegant and it would make an ideal gift for an anniversary or Mother's Day. I was very surprised how speedy the delivery was - it took only just a little over a week. 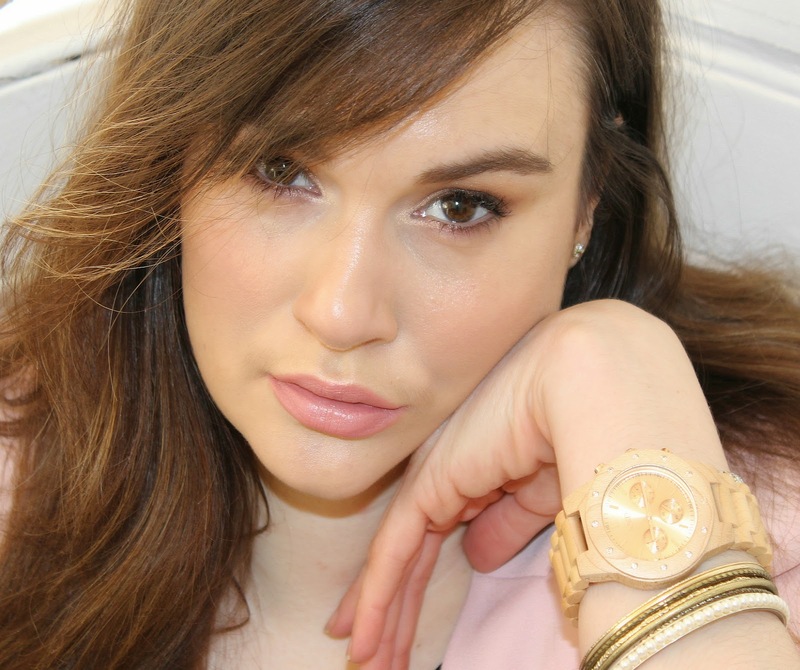 The rose gold and the swaroski chrystals make this watch a real eye catcher and a statement piece that can be worn during the day time but also on a night out. Sydney has deployment buckle with a push button and opens both ways and when its closed, it creates a smooth surface. I'm in love with my new watch and its more breath taking in person! 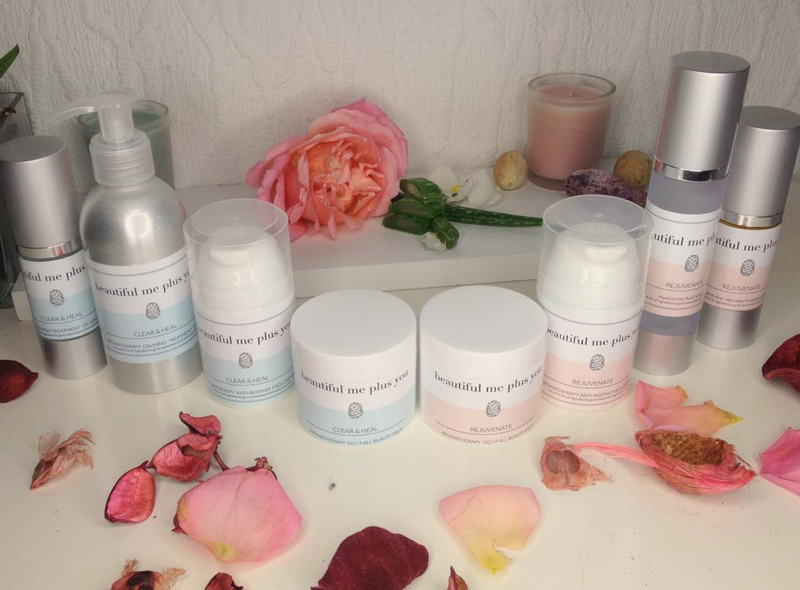 So if you are looking for a special gift for your loved ones or maybe you just want to treat yourself to something special, look no further! Highly recommended for all watch lovers and collectors! 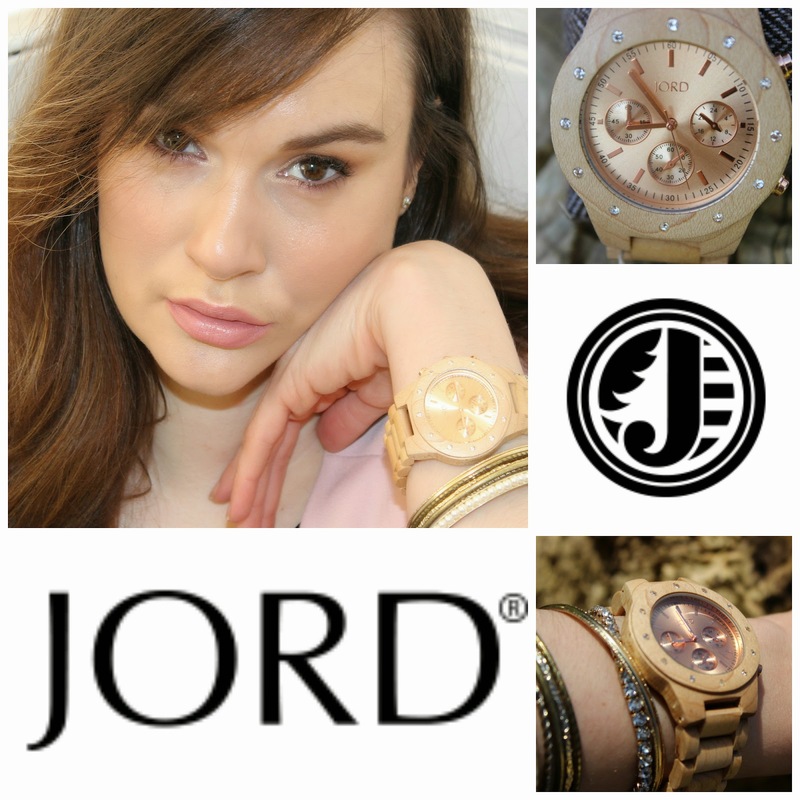 Make sure to check out JORDs full wood watch collection on their website - every watch is unique and distinctively crafted - there is something for everyone's taste!